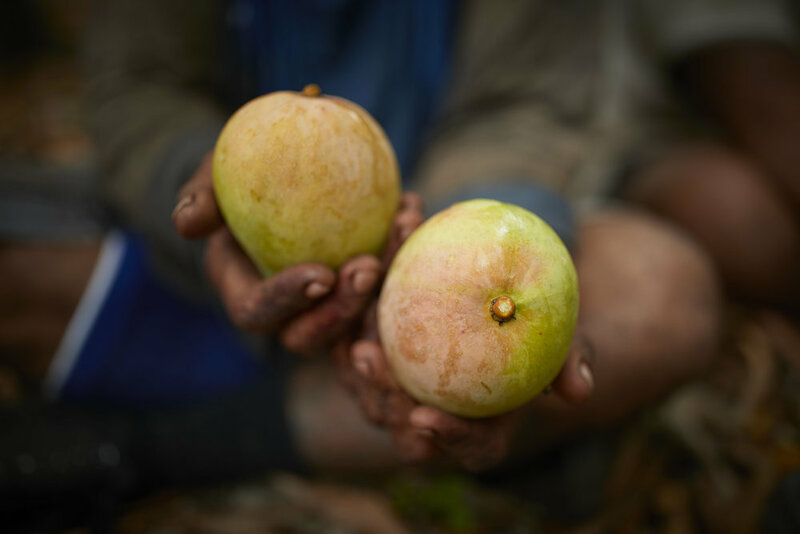 The stronger the aroma of a mango, the stronger the flavour will be. 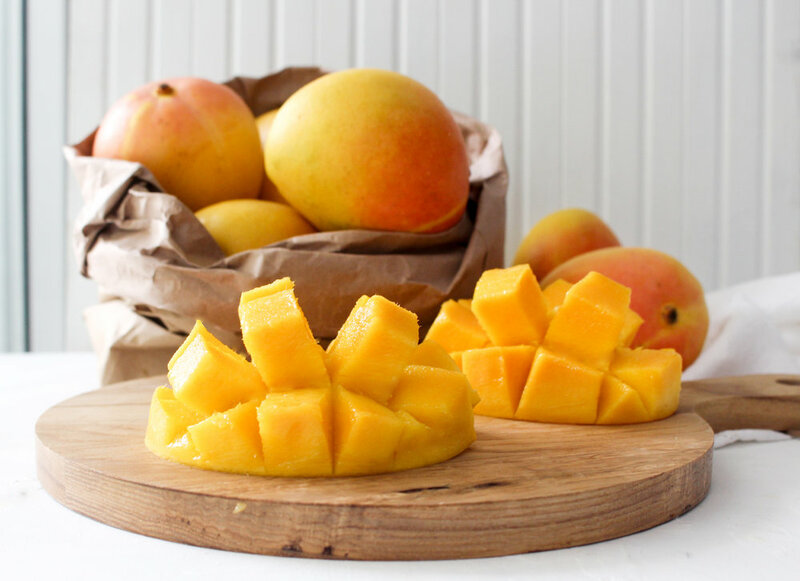 Select fruit that has a distinctive mango aroma. The green colour of the skin changes to yellow as the mango softens. 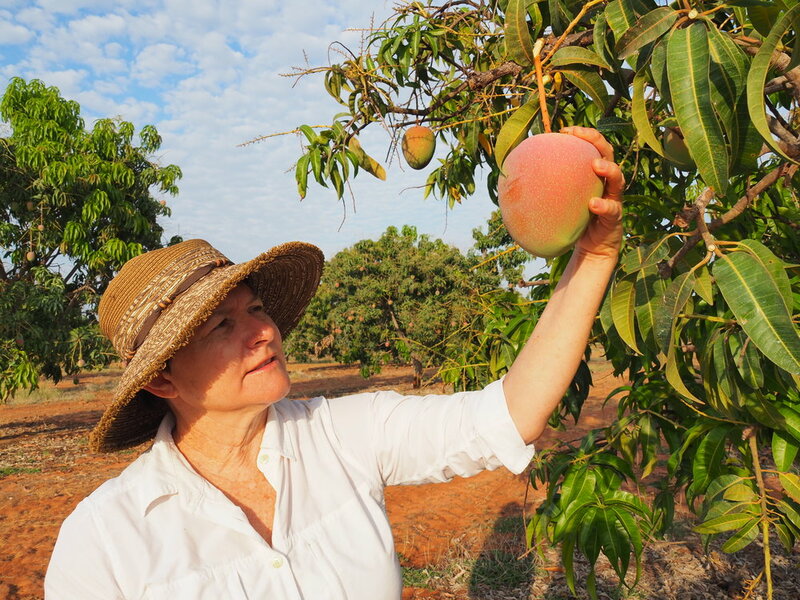 When the mango is nearly ripe, most of the skin is yellow or yellow-pink. 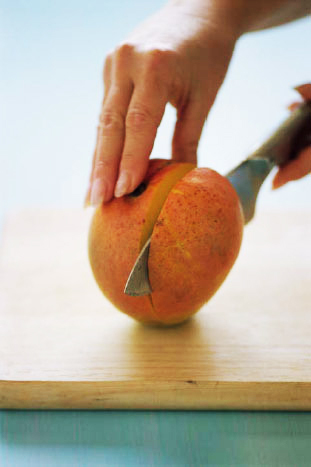 A little green remaining is OK.
Holding the mango length ways, slice down the side of the mango as close to the seed as possible with a sharp knife. Repeat this process on the other side. 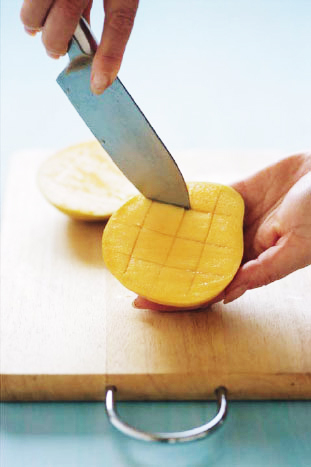 Score the flesh of each cheek in a ‘criss-cross’ pattern, taking care not to pierce the mango skin. 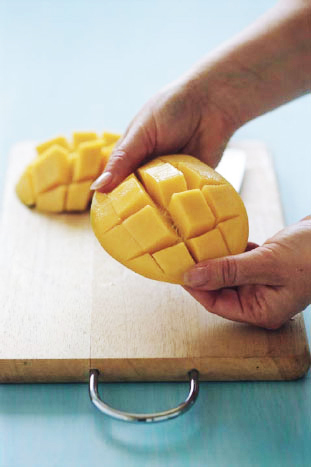 Turn each cheek inside out to eat away at the mango cubes or slice off into a salad – or, simply scoop out cubes with a spoon and enjoy!